I received a request a couple of weeks ago for bulk rentable properties in the city of Detroit. So that makes two groups looking in the suburbs and one in the city. If you’d like to get together on one of these drop me a line at REITalkDetroit.com/contact. I’ve kicked off my six week REI Quick Start coaching program. If you’re new to real estate investing or you’re frustrated by your lack of progress, then this might be for you. Part of the program involves walking you through – and giving you access to – my source of leads. The source I’ve used for over ten years now with GREAT success. Get more information at REITalkDetroit.com/coach. Steve is currently a full time wholesaler here in metro Detroit. 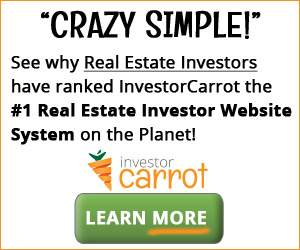 He’s also coaching new investors on how to get started in wholesaling. Steve had a rocky start – he was working at a title company when a short sale investor came in and asked him for a rush title search. Steve helped the guy out and got a free lunch out of it. A short time later the guy came back and asked him to help again. He did, but this time he asked the investor what he was doing. So the investor told him – and then invited him out to do some door knocking. Steve got a lead that day that lead to his first check – for $6000. And he was hooked. After a couple of starts and stops, and some mistakes, Steve made the decision to focus and do this. He did. And he succeeded. His biggest mistake was his first property – a rental house he bought in Pontiac at almost the top of the market. He lost his job and had other challenges that lead to him unfortunately losing the property to foreclosure. Steve has two great successes – the first was the short sale business that he helped found and grow to a really profitable business. The second was when he left that business behind abruptly and turned on a dime and reinvented himself and replaced his six figure income without skipping a beat. Like all of my prior guests, Steve exclusively uses private money to fund his deals. Steve and I talked a lot about how he’s using direct mail in his business, because I also use it heavily. So I asked him to outline his direct mail workflow and talk about the tools that he uses. He uses this simple process to send around 3000 pieces of mail per month and he’s looking to ramp that up to over 4000 pieces shortly. 4. Don’t forget that Steve is looking for interns or new people to learn the business and help him automate his business at the same time. If you think you qualify contact him via email.